Clooney. A name that for many Aucklanders likely conjures up images of a long-standing, industrial-glam, fine dining restaurant on Sale Street. For those residing outside of Auckland however, the only Clooney they’re likely to be familiar with is better known for assisting patients in the emergency department and orchestrating casino heists. Somehow I think Jacob Kear’s arrival at Clooney is going to go a long way towards changing that. The tattooed chef with the cool L.A.-meets-Japan backstory looks part samurai, part woodsman – and he’s equally at home both in the forest and at demonstrating Japanese-style precision at the pass. His resume reads as ‘ex-Noma’ – but in the words of Shania Twain, “That don’t impress me much”. It feels like almost every young(ish) chef in the world touts themselves as ex-Noma these days – on my visit to Noma I believe there were around 40 stagiers putting in their three-month pilgrimage to the temple of foraged and fermented food. Staging at Noma is no doubt a brilliant addition to the CV and most certainly will help open doors, but it’s not often I see it truly translate to the level of culinary skill on the plate that most associate with the name. Jacob, however, doesn’t fall into the trap of simply being a Noma-namedropper – somehow I feel master and student were a good fit here. 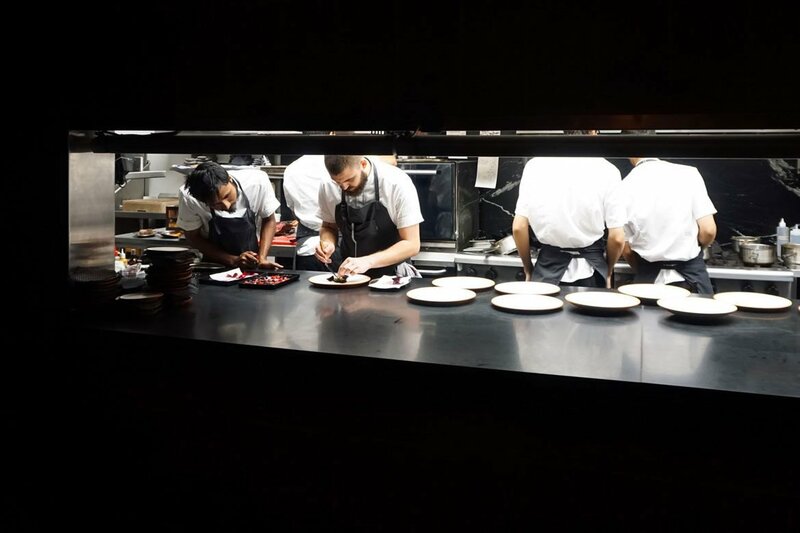 The experience at Noma under the experienced tutelage of culinary legend Rene Redzepi has clearly honed Kear’s love for foraging and native ingredients – something that’s been part of his culinary environment ever since his childhood in Japan. He’s a chef who’s story and journey comes across effortlessly on the plate…seeing the rate at which he turns inspiration into creation on social media gives an insight as to how deep the passion runs. No less than two days after learning about foraged native ingredients in Rotorua he’s creating stunning new dishes from the ingredients and sensory inputs from his trip. Follow him on Instagram at @dinnerbykear and you’ll see what I mean. It’s hard not to draw parallels with Giulio of Roots, Lyttleton – another kiwi import with a brilliant CV (this time it’s Chile, and Mugaritz) who has wholeheartedly embraced New Zealand’s native ingredients, perhaps even more so than many of our homegrown chefs. Speaking of Giulio, he is, in essence, the reason that Kear is in New Zealand today. The Roots proprietor scoured social media to find a chef worthy of preparing the feast to accompany his wedding festivities – going so far as to import Chef Kear for the task. Kear decided he just might like to stay on in New Zealand, and luckily timing was right for restaurateur Tony Stewart to snap up the import as Clooney’s new Executive Chef. A gorgeous pink-hued sake cocktail kicks off my night, appropriately adorned with cherry blossoms. It’s as interestingly complex as the food on the plate – don’t miss out on sampling one of the creations. Mine was the Harakiri – momokawa nigori genshu, elderberry, rhubarb, peychard bitters, and I highly recommend you take it for a spin…if you can resist ordering the ‘Plantation vs. Zombies’, that is. Best cocktail name ever? It’d definitely be in the running. 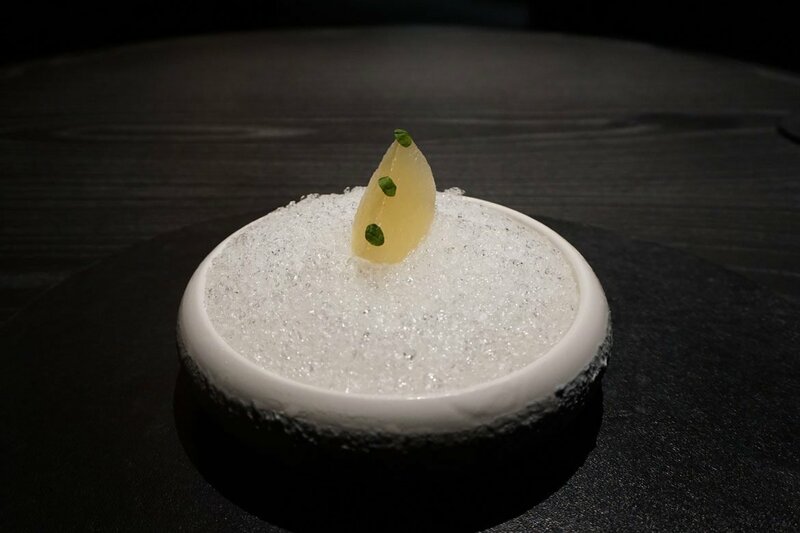 The journey starts in suitably dramatic fashion – a single sangria-soaked nashi wedge atop a bowl of crushed ice. Adorned with three tiny mint leaves, I’ll admit I’ve had very similar snacks in Europe – Apple/Margarita at Mini Bar by Jose Avillez in Lisbon, and Watermelon/Sangria at Tickets in Barcelona. Somehow, however, this felt like the best of the three, with the nashi pear providing the perfectly firm yet juicy canvas for the sangria. Palate cleanser and teeny tiny cocktail in one. The next duo of snacks arrives atop a bonsai-style forest setting – a nest of beetroot strings filled with sheep’s yoghurt, and a ‘canNori’ – that’s a cannoli made from nori, topped with crispy quinoa and filled with a yuzu creme fraiche. Both reminded me of some of my favourite snacks to have a beer with, just a heck of a lot fancier. Half a tart arrives (made from kelp no less), and in true Noma style, it’s putting the art back into tart. 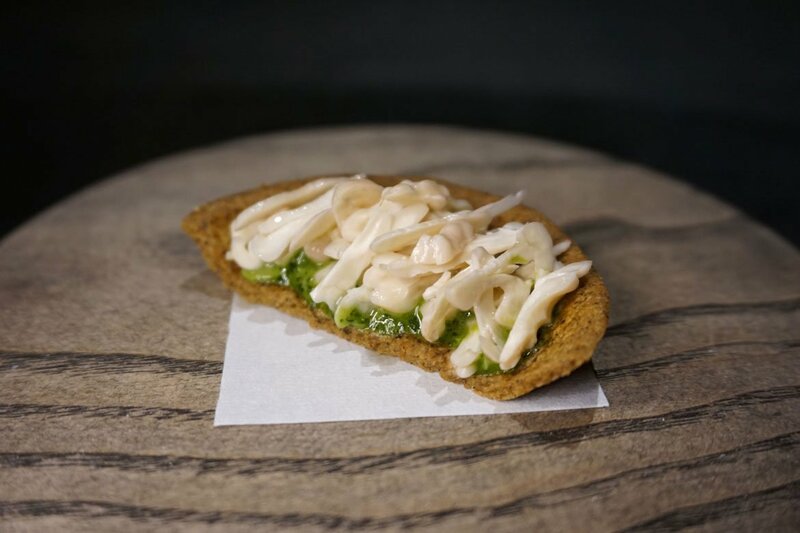 It strongly reminds me in appearance and flavour of Redzepi’s gorgeous radish tart served at Noma, but this one contains an emulsion of kiwi berries, parsley and kaffir lime oil, topped with a heaping of delicate slivers of raw walnut. Seafood lovers, you’ll have tuatua in place of the walnut – but the walnut is one not to miss, altogether a beautifully earthy combo. All too soon it’s gone and I can only wish this tart was not half, but whole. Next time I’ll take a dining companion and steal theirs. A hollowed out watermelon radish serving as a bowl for beads of beetroot and watermelon is as interesting in flavour profile as it is gorgeous in presentation. I’m seriously glad I don’t have to plate up this dish every day. A picture says a thousand words, so here’s three thousand for you. 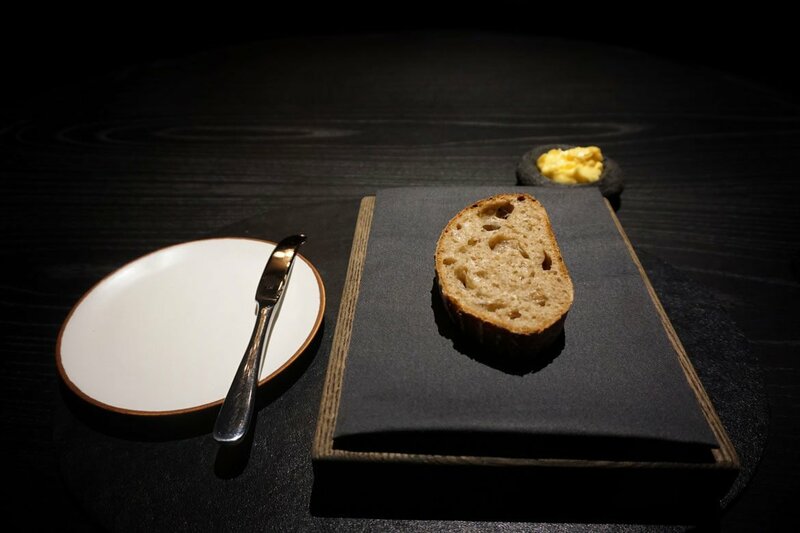 Bread is a course of its own at Clooney, and while personally, I don’t agree with that (I’ll happily have my bread at the start of the meal as per the norm, thanks), I can see why they want to make a fuss about it. Between the butter and the sourdough, the fermentation is strong with this one. It’s Jedi level. What arrives next may be my favourite dish of the degustation (trust me, choosing just one is a nightmare) – tomato of the season. Dehydrated cherry tomatoes and cape gooseberries are drowned in spectacular gazpacho jelly (it’s even an improvement on the real thing) topped with shiso leaves. It’s at once clean, refreshing and texturally luxurious – I could have eaten a huge bowl of this. Sadly, I’ve just heard that this dish is about to disappear from the menu – but I’m told it will be back next year when the season is right, so all is not lost. Just when I think things almost can’t get any better, a compact, yet beautiful dish arrives that threatens to raise the bar even higher. 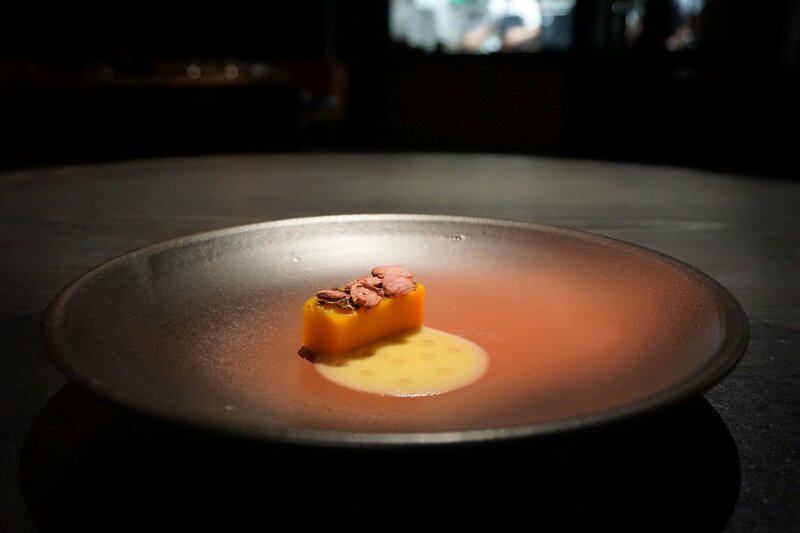 On the plate sits a small brick of crown pumpkin, beautifully adorned with dehydrated cherry blossom and kombu, atop a puddle of barley and koji cream studded with manuka oil. The manuka oil drops have been applied with almost impossible precision, precision that by now I’ve already grown to almost expect from Clooney. Let’s just say you’d need a really steady hand to cut it in Kear’s kitchen. He’s not even in the kitchen on the evening I dine (he’s off doing that foraging thing again) and if I didn’t know, I can’t say I’d know. If you know what I mean. Cauliflower, egg and parsley – a great combination on paper, but there’s so much more going on to this dish than just three ingredients. The multi-layered bowl features cauliflower ‘couscous’ cooked in kelp butter topped with crispy couscous (the real stuff), hiding a rich heart of gooey egg yolk and burnt miso paste. Parsley oil adds a touch of savoury freshness to cut through what is an unctuous, decadent dish. Muscovy duck is the meal’s first meat course, and before I get to see it in its final form on the plate, I’m presented with the whole roasted duck resting in a nest of hay. It’s a beautiful bird, and certainly, looks expertly cooked. I get to put that observation to the test when just a few minutes later delicate slices of said duck arrive on a plate decorated with almost every maroon-toned fruit and vegetable I can think of. Raspberries, blackberries, beetroot…that’s just scratching the surface. While the texture of the duck is delightful, this is probably the only dish of the night that I would tweak. More meat (or less of the berries and beets) would better balance the composition of the dish, and a touch more sweetness would be welcome. I’d delete the sage and mouth-puckeringly tart cranberry too. Like Coco Chanel sagely advises, sometimes you need to take one accessory off before leaving the house. I’m excited to see what Jacob has managed to do with the humble pork belly, having tasted some experiments in fermenting and cooking pork while he was still testing recipes. Coming hard on the heels of a monumental pork belly disappointment at Melbourne’s Dinner by Heston, I’m hoping one of my long standing favourite proteins will be redeemed here. Thankfully, it’s not just redeemed, but elevated and exalted in this incarnation. (And it seriously makes me rue spending $58 AUD on the aforementioned Australian version.) 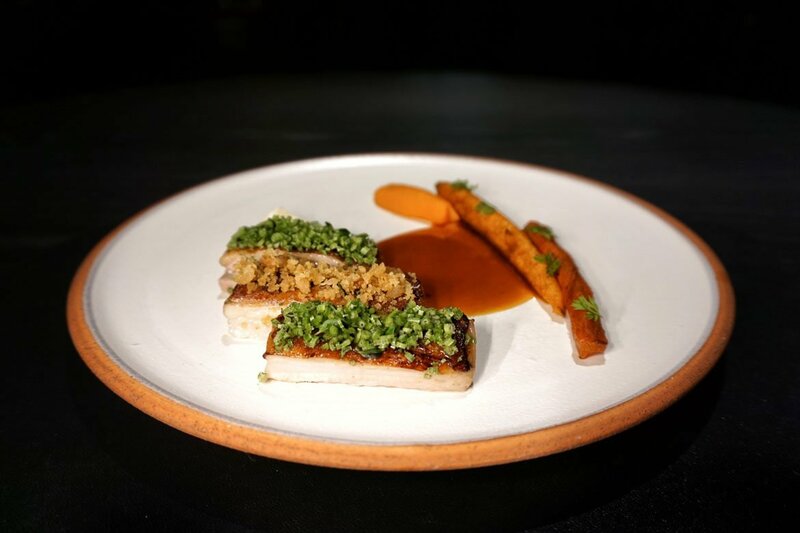 The three perfect, pressed pork slabs topped with chives and crackling are a delight in themselves, let alone when the supporting cast is carrot four ways. Roasted carrot and the addition of carrot in the sauce are fairly standard, but the semi-dried carrot and lacto-fermented carrot puree are seriously memorable. A dish that will delight both long-time Clooney fans and modern gastronomes alike. A degustation just isn’t a degustation (or tasting menu, if that’s what you like to call it these days) without a palate cleanser, and Clooney’s is iconically kiwi. Inside a humble feijoa hides a rather elegant feijoa sorbet that even I loved (I suppose I should have mentioned that I hate feijoas). With the first dessert proper, I’m whisked back to Kear’s Japanese roots, courtesy of a dish that delivers much more on the palate than on paper. An ice cream made from sake lees is just the beginning – for me the stars of the dish are the rice-like milk crumble base and the kaffir lime tinged sauce. I’m not even going to try to describe this dish further as it’s really an enigma – best you just taste it for yourself. All too soon (well, I suppose that’s not quite correct – I’m rather full actually, but I just want to taste more of Chef Kear’s creations) it’s time to wrap up the meal with one last dessert. It’s another homage to the land of the long white cloud – Kear’s take on our classic hokey pokey. 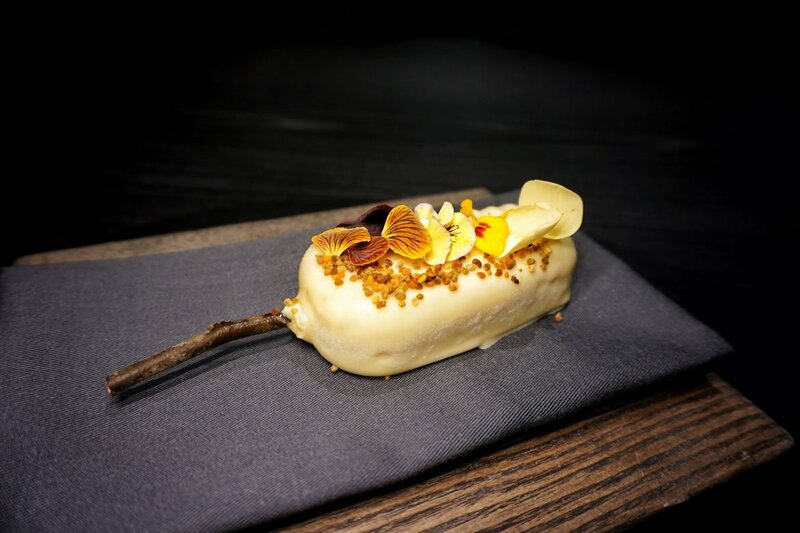 A gorgeous Magnum-styled ice cream arrives, made oh-so-Instagrammable with its twig popsicle stick and pansy and bee pollen decoration. A fitting end to a sublime evening of food. 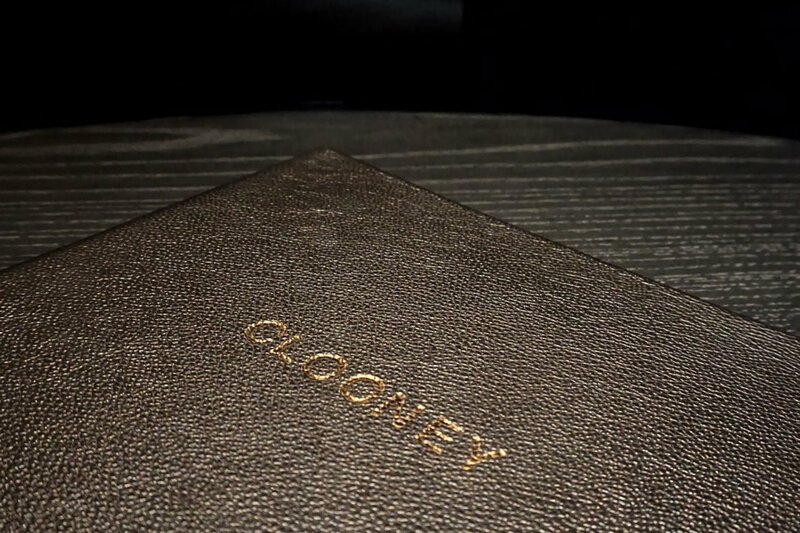 Clooney’s tasting menu is a free-wheeling ride inside the mind of its new helmsman, and a rather fun one at that. It’s a menu that elegantly showcases Kear’s Japanese heritage and Nordic influences, two cuisines that are rather marvellous bedfellows. Showing the wisdom of a chef far beyond his years, he’s careful not to forget kiwi palates and Clooney’s roots, with the protein dishes endearing themselves with a mix of familiarity and progressive techniques. If you’ve dined at Noma, you’ll likely recognise some of the ways in which Kear pays homage to Redzepi’s cuisine – but I think he does enough to make it his own, something I’m sure will evolve even more as he settles into his new post (and new country of residence). 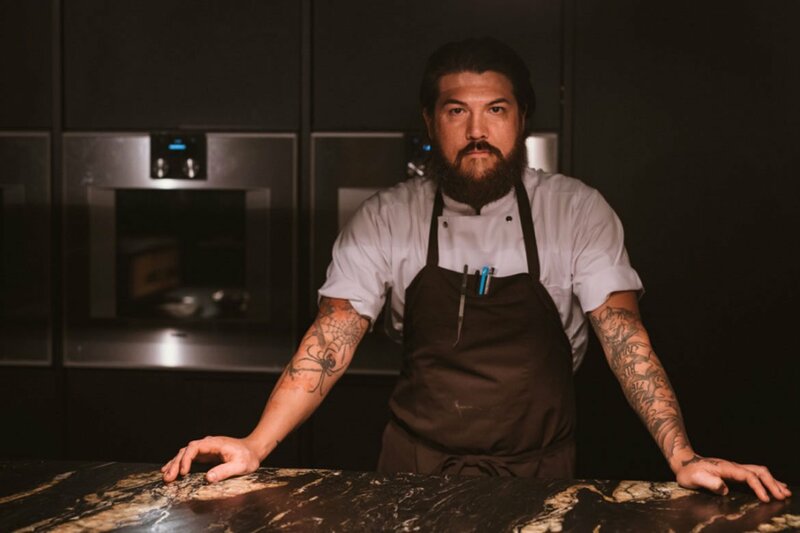 His time at the ‘Nomas’ (he’s worked at all of the Noma installations across the globe as well as an extended stay at the original) has instilled in him a finely tuned ability to play with sour and bitter in a way that is at once interesting, challenging and overwhelmingly delicious. The flavours served up in the Clooney kitchen are going to be new to many a kiwi diner, and that is fabulous news for the New Zealand dining scene. Trust me, however, that’s nothing to be scared of. Go with an open mind, empty stomach and be prepared to have one of the best meals of your life.